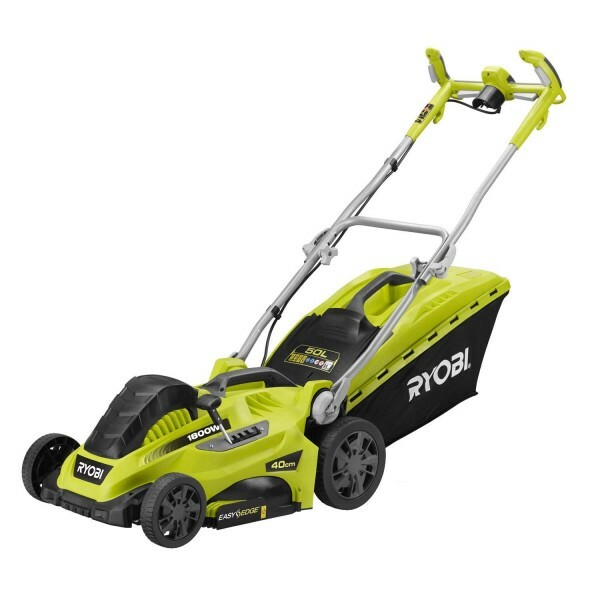 RYOBI ELECTRIC LAWNMOWER, 40cm CUTTING PATH 1800W RLM18E40H: This 1800W lawnmower has a 40cm cutting path which is ideal for large gardens. Plus, with an ergonomic handle design and a changeable handle height, it is perfect for all users, allowing you to keep ultimate control and achieve a top quality finish. With an EasyEdge™ feature, you're also able to mow right up to the edge and achieve a professional finish that will leave your garden looking great in a matter of minutes.